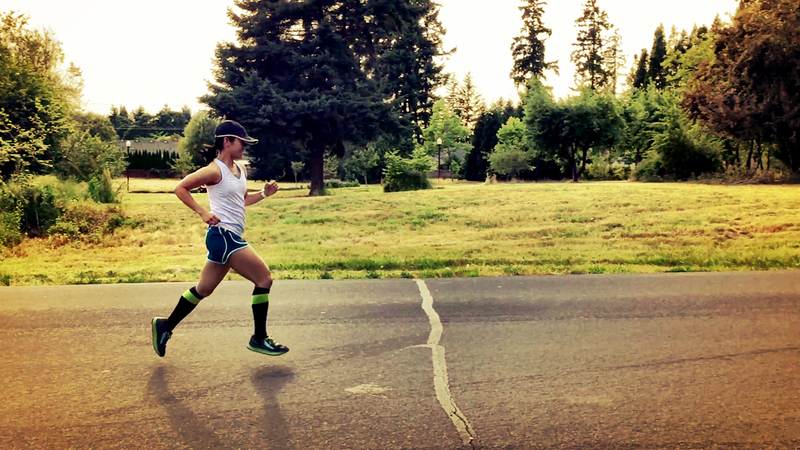 Compression socks are great for recovery and running. There are so many different brands and prices out there. It’s hard to decide which one to pick. 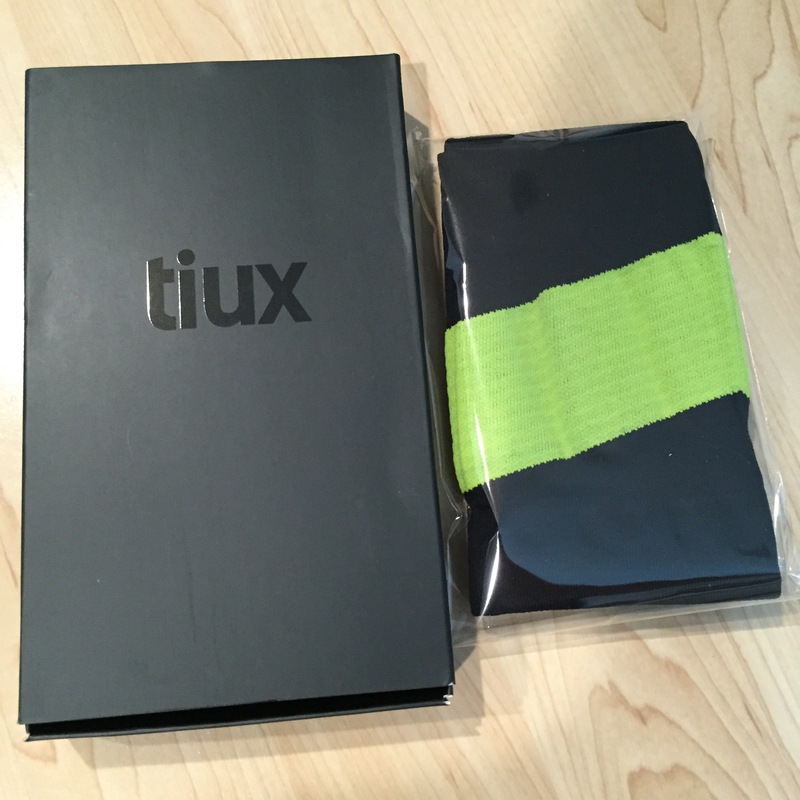 I was excited when I was contacted about Tiux compression socks and couldn’t wait to try them. Note: I was given this product to review. All opinions expressed are my own. 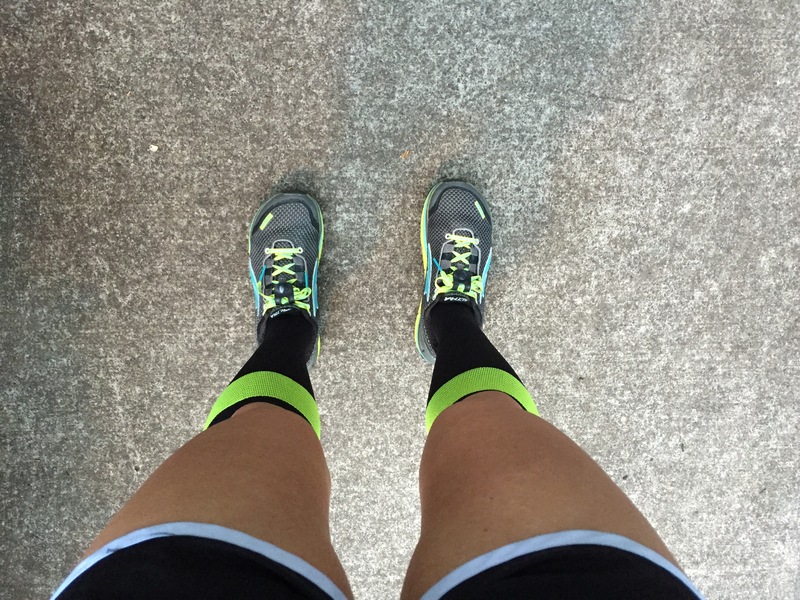 Why Wear Graduated Compression Socks? Graduated compression socks have a higher compression at the ankle and gradually decreases towards the calf. Graduated compression will enhance circulation and increase the level of oxygenated blood to your legs, while pumping deoxygenated blood back to your heart. Stimulating blood flow helps athletes improve performance, reduce muscle fatigue and recover faster. Reduces the risk of injuries and muscle tears by minimizing muscle oscillation. 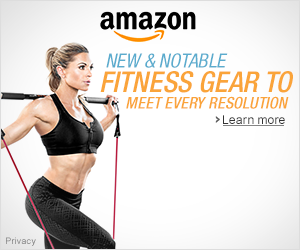 Improves agility with heightened sense of muscle awareness. Improves performance with greater blood flow and oxygen delivery to the muscles. Accelerates the rate of blood flow back to the heart to help alleviate swollen and achy legs. You have to measure the circumference of your ankles and calves to determine your size. When I first put them on, they were really long. I could cover my knee caps with them if I wanted to but the length didn’t bother me when I first went on a run with them. I like how they are feet specific since they’re labeled L or R, so you know you’re getting a good fit. I ran three miles on the treadmill with them first and it went fine. I just wasn’t used to having my legs compressed so it did feel a bit weird. The longest run I’ve ran with them so far is 11 miles. I like them. They seem to be of great quality. They are 75% Nylon and 25% Spandex. If you know about compression ratings, they have a compression rating of 20-25 mmHg. The compression rating at the ankle is 25 mmHg and decreases to 20 mmHg towards the knee. If you want to shrink them a little, put them in the dryer. It worked for me since they’re not as long anymore. As far as running performance goes, I can run fast in them. I ran a quick five miles with them. I especially love these socks for recovery. I used them after the Seattle Rock’n’Roll Half Marathon and I’m sure they helped. I was able to run a mile to continue the #RWRunStreak the next day. I’m still getting used to wearing them on training runs. I am training for my first marathon and plan on using these on training runs more often to get my legs used to wearing them since I think they help. I definitely recommend trying these compression socks. One thing I would like to see though are more colors and maybe offer compression sleeves. If you’d like more info on these cool socks, check them out here: http://tiux.co/. Have you tried compression socks? Do you race in them? Nice review!! 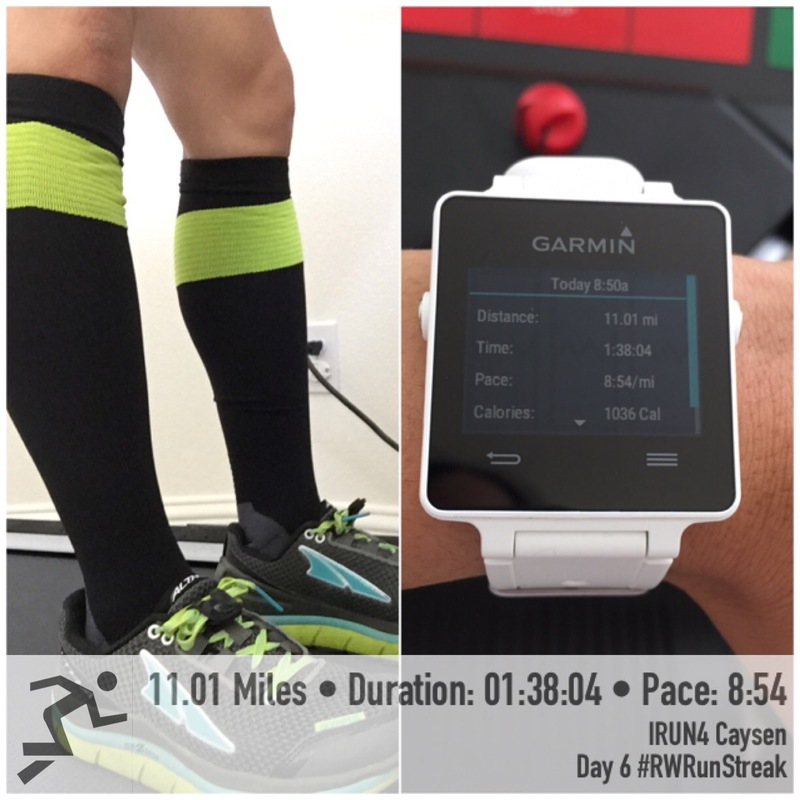 I’ve tried Pro Compression socks and I like them! They are great for recovery! 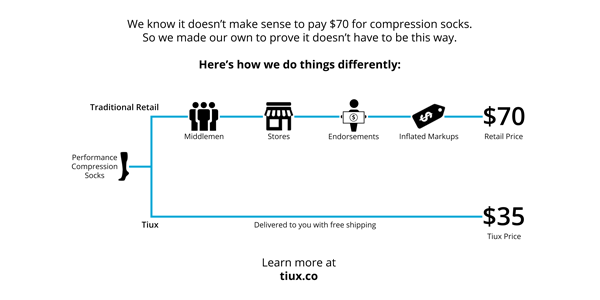 I haven’t tried Tiux but the price and free shipping sounds nice! Thanks Sharon! Yes, I love using compression socks for recovery! The price is great! I haven’t tried these yet. I’ve tried Pro Compression, Lily Trotters, and now SLS3! I’ll have a review of the SLS3 (and a giveaway) tomorrow on the blog. The ProCompression are nice but the knee highs are really hard to put on. I like their low socks tho. My favorite for fashion would be the Lily Trotters, but for performance, I really like the SLS3!